Every time you get out of your car in midday, you feel like your skin is being roasted to perfection; your eyes squint to lessen the impact of the piercing shafts of the sun’s heat; and you feel like your body is turning into a furnace from within. Such is the sorry state the present generation is now experiencing under the punishing heat of the sun which is perceived to have intensified because of climate change. But the physical discomfort, however, is not the only adverse consequence the summer heat has foisted upon us; there is a more sinister phenomenon just “lurking in the shadow, ready to strike” so to speak, that is -- the increasing threat of getting skin cancer. Skin cancer is one of the most common cancers worldwide. This is understandable considering the fact that the skin is the biggest organ in the body and the most exposed to the elements, especially to the sun’s radiation. It used to be more common among the white race, with the triad of pale skin, blue eyes and blond hair. But with the thinning of the ozone layer coupled with a changing lifestyle, the incidence of skin cancer has been increasing even among other races, including ours. Aside from the sun, other factors that cause skin cancer include: exposure to coal, arsenic, genetics, and pre-existing skin conditions like dysplastic nevus, large congenital nevus, Albinism, and Xeroderma pigmentosum. It is convenient to classify skin cancer into two major types: Melanoma and Non melanoma Skin Cancer (NMSC). Under NMSC, two common subtypes exist, namely: Basal Cell Carcinoma (BCC) and Squamous Cell Carcinoma (SCC). There are other subtypes of NMSCs, like Merkel Cell Carcinoma, Eccrine gland carcinoma, Sebaceous gland carcinoma, Dermatofibrosarcoma protruberans, etc., but they are all very rare and form less than 10% of the whole NMSCs. Melanoma is one of the deadliest cancers. Although it can grow de novo, it usually originates from a pre-existing mole or nevus - the dysplastic mole. It carries the ominous ABCDE signs which can alert the patient and physician on the possibility of its existence: A- Asymmetry, B- irregular Borders, C – changing or variegated Color, D – a Diameter MORE than 6 mm (size of a mongol pencil eraser) or the Different mole among all other moles in the body, E – Evolution (the changing course of the nevus over a period of time). Melanoma can appear in 4 subtypes: superficial spreading, nodular, lentigo maligna melanoma (common among the elderly) or acral lentiginous (on the extremities.) It can appear on the nail as a very dark/black streak with spillage of pigment on the proximal nail fold. Melanoma can rapidly spread throughout the body through the lymph nodes. Metastatic melanoma is not uncommon even in the younger age group. On the other hand, Basal Cell carcinoma and Squamous Cell Carcinoma are commonly seen in the older generation because 80% of these tumors is caused by cumulative sun exposure. BCC usually appears as an innocent-looking papule on sun-exposed areas like the face with rolled borders and fine blood vessels (telangiectasias) which bleeds easily and doesn’t completely heal. Among Filipinos, the pigmented variant (pigmented BCC) is more common, appearing as a black papule with crust which doesn’t heal over time. The good thing with BCC is that it hardly metastasizes (spreads beyond the original area), however, if left unattended, it continues to gnaw on the area and subsequently causes local destruction and deformation. An uncommon variant, called Sclerosing BCC appears like a waxy slightly depressed scar which spreads underneath the skin and causes large destruction if not removed early. SCC can appear in 2 common forms: either as big fungating crusted masses or flat non-healing reddish patches. Although the chance of metastasis is small, it usually spreads to the adjacent lymph nodes if left unattended through time. Complete skin examination has to be done on patients prone to skin cancer. Lymph nodes have to be palpated especially if there is a suspicion of melanoma or SCC. A simple skin punch biopsy or excision can be done by the doctor to check for malignant growth. Once histopathology results confirm the existence of cancer, definitive management has to be given to get rid of the cancer cells and prevent possible recurrence. Surgery is still the first option for most skin cancers - either by wide excision or by Mohs micrographic surgery (MMS). The latter is a systematized microscopically-guided excision of the tumor, running after all cancer extensions while leaving the unaffected skin behind. It boasts of a 97-99% cure rate compared to conventional wide excision for BCCs and SCCs. It was introduced by Dr. Frederic Mohs in the 1930s in the United States and has found its way to the Philippines in the early 2000s when St. Luke’s Medical Center (SLMC) established the first Mohs unit in the country under the leadership of the author. 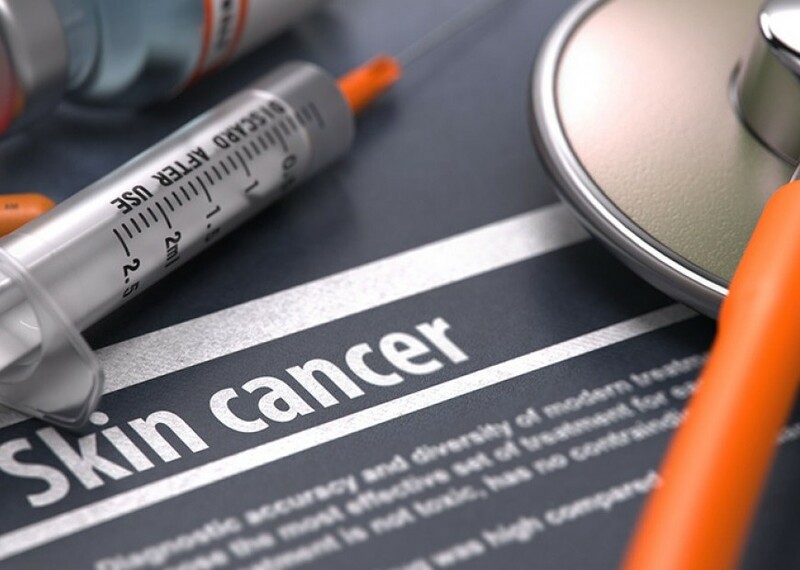 The Mohs unit also caters to melanoma and other NMSC cases and adheres to the guidelines of care from the National Comprehensive Cancer Network (NCCN). To date, more than 400 NMSC cases have been operated using the Mohs technique with a significant number having passed the critical 5-year surveillance phase without recurrence. Filipinos are known for their “sunny disposition” and their love for exploring nature, adventures, especially frolicking along sandy beaches during the summer season. Awareness and precaution of the consequence of too much sun exposure, however is a timely reminder. Dr. Cynthia P. Ciriaco-Tan graduated from the UP-PGH College of Medicine and finished her residency from the UP-PGH Section of Dermatology. She took her fellowship studies in Mohs Micrographic and Dermatologic Surgery at Massachusetts Eye and Ear Infirmary- Harvard Medical School, Boston, Massachusetts USA. She is currently the Assistant Chief of the Department of Dermatology of St. Luke’s-Quezon City and heads the Mohs Unit in the Dermatology Center of St. Luke’s-Quezon City and Global City. She is a clinical associate professor at the Section of Dermatology, UP-PGH and a dermatologic surgery consultant at UERMMMC. Dr. Ciriaco-Tan is a fellow of the Philippine Dermatological Society (PDS).